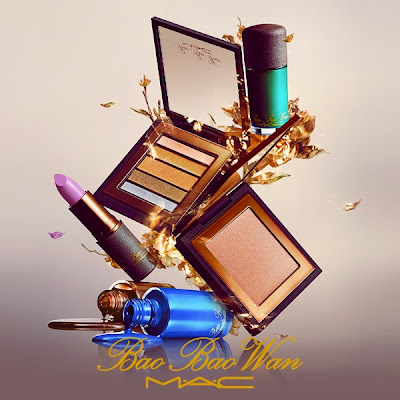 I was never a fan of Bao Bao Wan and when I saw that MAC collaborated with her on a collection, I was ready to dismiss it until I saw the images shot by Chen Man. She's managed to make Bao Bao Wan into an ethereal character and oh the vivid colours! Check out those nail polishes and the palates. In fact, the only thing I think I wouldn't be able to carry off would be the lipstick. I can't wait to check out those rich jewel tones in person.